When we become parents, we bring with us issues from our own past that influence the way we parent our children. Experiences that are not fully processed may create unresolved and leftover issues that influence how we react to our children. These issues can easily get triggered in the parent-child relationship. When this happens our responses toward our children often take the form of strong emotional reactions, impulsive behaviours, distortions in our perceptions, or sensations in our bodies. These intense states might impair our ability to think clearly and remain flexible and affect our interactions and relationships with our children. 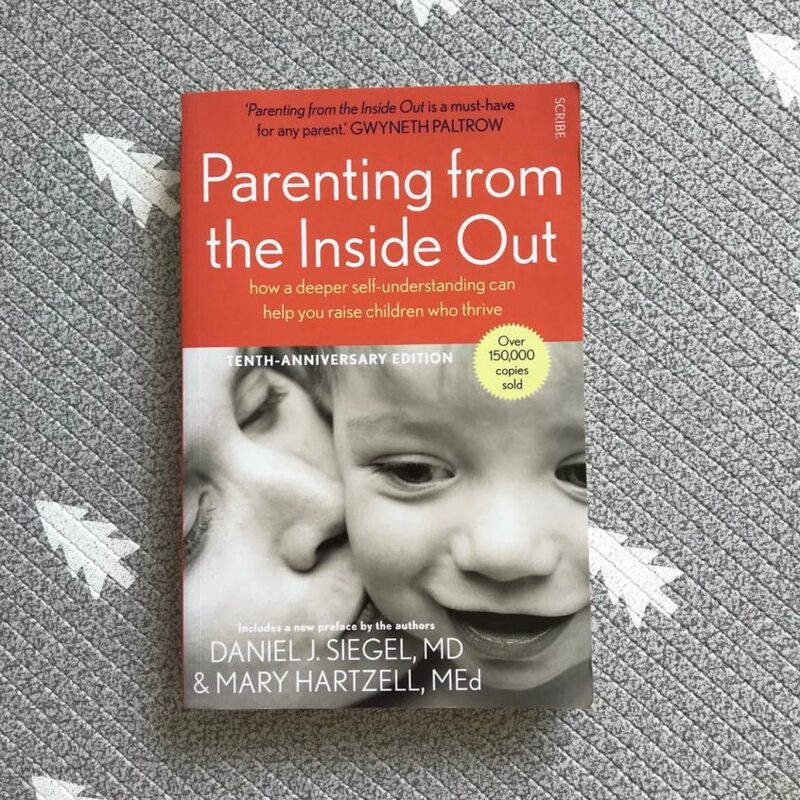 Parenting from Inside Out shows parents how to understand and integrate the experiences from their childhood into a nurturing style of parenting that promotes healthy communication, meaningful attachment, and trust. The authors bring to this book their own distinct professional experiences in working with parents and children. Dan Segel is a child psychiatrist while Mary Hartzell is a 40-year veteran early childhood and parent educator. Dan’s personal experience with his son’s inconsolable crying is used as an example of how our past can affect our parenting until we “make sense of it.” The book relates how Dan would feel a strange sensation, a sense of dread and terror come over him whenever his infant son would start to cry. At first, he thought that it was because he had been allowed to cry for long periods in his infancy and was forced to adapt to his feelings of abandonment. People usually are unable to recollect such an early experience due to the normal process of childhood amnesia but would have nonverbal memories of them, such as sensations, emotions, or behavioural impulses. It is common that during a traumatic episode, we focus our attention away from the horrifying aspects of the experience as a way of coping with it. It is also possible that excessive stress and hormonal secretion during a trauma directly impaired the functioning of parts of the brain necessary for autobiographical memories to be stored. These experiences are encoded in nonverbal form and stored as implicit memories. When evoked by similar experiences, they can be deeply disturbing. This unresolved issue created in Dan intense and shameful emotional responses to his son’s crying and his vulnerability. He became irritated. But in fact it was his sense of helplessness to soothe his son that he found intolerable. A parent who was unaware of this unresolved issue would have interpreted the child’s crying as a deficit and punishsed the child for it. Stories are the way we make sense of the events of our lives through which we deepen our self-knowledge and develop a greater understanding of ourselves and our relationships with others. Children try to understand and make sense out of their experiences. Telling your children the story of an experience can help them integrate both the events and emotional content of that experience. Without emotional understanding from a caring adult, a child can feel distress or even a sense of shame. As I was reading this, I had flashbacks to the time when I was ten and my world was being turned upside down by my parent’s divorce. I felt it although I had not fully comprehended it yet. It wasn’t till I was much older and knew why some marriages end in divorce that I was able to make sense of what was happening to my family and to me. My parents’ divorce created great insecurity within me. I had it easy compared to other children who blame themselves for the divorce and live with that guilt for most of their lives. When there are no given narratives, children will make up their own. In this book Dan and Mary will help you to understand how we remember, how we perceive reality, how we feel, how we communicate, how we attach, how we make sense of our lives, how we keep it together and how we fall apart, how we disconnect and reconnect, and how we develop mindsight. Parenting from Inside Out is a beautiful reminder to parents to be more compassionate with our children and, equally important, with ourselves. It reveals that it’s never too late to heal your old wounds and re-parent yourself. When parents don’t take responsibility of their own unfinished business, they miss the opportunity not only to become better parents but also to continue their own development.